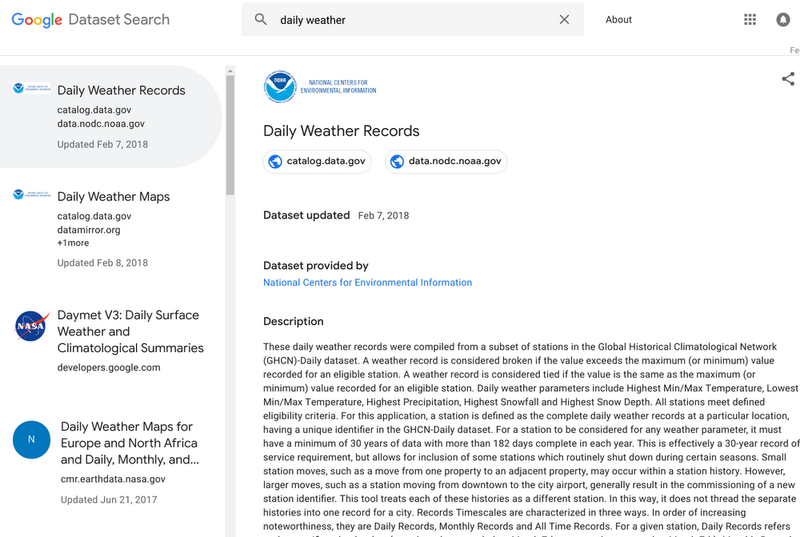 Google launched Dataset Search, which can help researchers, scientists, and others around the world find open datasets! Dataset Search lets you find datasets wherever they’re hosted, whether it’s a publisher’s site, a digital library, or an author’s personal web page. The approach uses schema.org for describing datasets and anybody can publish their data following guidelines for dataset providers. Google encourages dataset providers, large and small, to adopt this common standard so that all datasets are part of this robust ecosystem. DM Community may utilize these capabilities for creation of publicly available Repository of Decision Models for different business domains. You’ll see data from NASA and NOAA, as well as from academic repositories such as Harvard’s Dataverse and Inter-university Consortium for Political and Social Research (ICPSR). This entry was posted in Artificial Intelligence, Business Analytics, Decision Models. Bookmark the permalink.